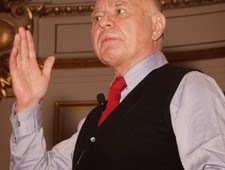 This year could be the year when investors lose confidence in central banks' ability to engineer a sustained economic recovery, Marc Faber said in a presentation in London. So far, London and New York property, as well as equities, have "reacted very well" to the Fed's quantitative easing efforts, "but that doesn't boost the wealth of the nation and it leads to less social cohesion," he warned. "One of the problems of this liquidity injection is that the Fed can force relatively responsible central banks to print money," Faber added. QE has "grossly inflated" asset prices and as a result U.S. equities as "highly expensive," Faber said. A sustainable recovery should be based on investment rather than on consumption, but companies will find it more difficult to boost profits in the current economic climate, he added.